It’s no secret - regardless of the type of industry you reside in, online reviews matter. Nearly two-thirds of all U.S. internet users reference online reviews before making a purchase, according to a February 2018 study. Since consumers are even putting more trust into online reviews than they do personal recommendations, negative reviews can have a huge impact on your business’s potential customers. It’s time to put on your PR hat - let’s talk negative reviews. We get it. Negative reviews are frustrating! However, we encourage our clients to view them as an opportunity. How? Respond to each and every one of them. Too many businesses today take a passive role in their online reviews and let them collect, leaving readers to make their own conclusions. But the reality is, if you let a negative review sit out on a popular review site with no public response, people will assume it’s true. Providing an honest, human response to negative reviews shows that you care about your customers and their satisfaction. Your response is taking an additional step to rectify the situation; to right your wrongs. It shows you appreciate their feedback and take it as a learning opportunity. Most importantly, responding to reviews gives readers a glimpse into the quality of your customer service, your brand voice. The upset customer updates the review, or even removes it altogether. Oftentimes, customers want their voice heard and are willing to update the review if you can apologize and work to resolve their frustrations. You reach out, offer to rectify the situation, and get radio silence in return. You tried, and that’s okay. Others see that you attempted, and that’s what matters the most. Plus, negative reviews prove to potential customers that you’re real. No business is perfect 100% of the time, and you cannot please everyone. A humble company is a trustworthy one. 1. Be sincere. Acknowledge the customer’s feelings. Honesty is key here. If you were at fault, admit fault. If there is miscommunication or clarification needed, say so. Don’t forget to make it personal - call them by name and craft your response based on their unique situation. A user knows a canned response when they see it! 2. Be professional. Avoid getting defensive. Sometimes reviewers are bitter, and it may be tempting to fight back, but remain professional and don’t attempt to fight fire with fire. Keep it short, sweet, and to the point. Your potential customers are watching. If you are particularly heated and dealt with a rude customer, give yourself time to cool off before responding. 3. Be confidential. Do not mention specific, personal details of the interaction. (Depending on your industry, you may even be breaking laws.) Instead, take it offline. If possible, reach out to the customer via direct message before responding to the review. Request a phone call to talk it out. 4. Respond within one week. Any longer and you’re too late. We know how busy running any business can be, but review management must be a part of your weekly (or daily!) checklist. 5. Procure new, positive reviews. When you do get a negative review, it’s important that it doesn’t significantly hurt your overall star rating. 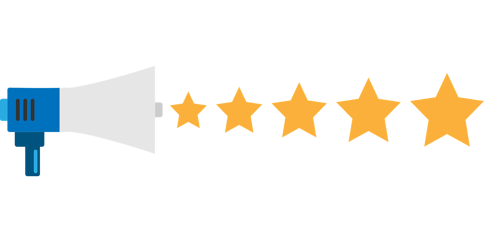 The only thing that can truly help a negative review is surrounding it with 4 and 5-star reviews from happy customers (plus, plentiful reviews doesn’t hurt from a local SEO standpoint). Additional tip: Is the review in question fake, and do you have proof to back it up? It may be eligible for removal. Contact the review platform’s support team directly. It’s rare, but it may just work. Want to be able to respond to online reviews easily and quickly? Need help procuring online reviews in the first place? ...Of course you do. Ask us about our reputation management tool: a one-stop shop which allows you to easily request reviews from your customer list (via email or SMS text message), respond to online reviews in one place, get alerted when a new review is posted, and even create customized review request widgets for your business collateral - all in one easy-to-use centralized dashboard. Remember, bad reviews are an opportunity for your business’s reputation. 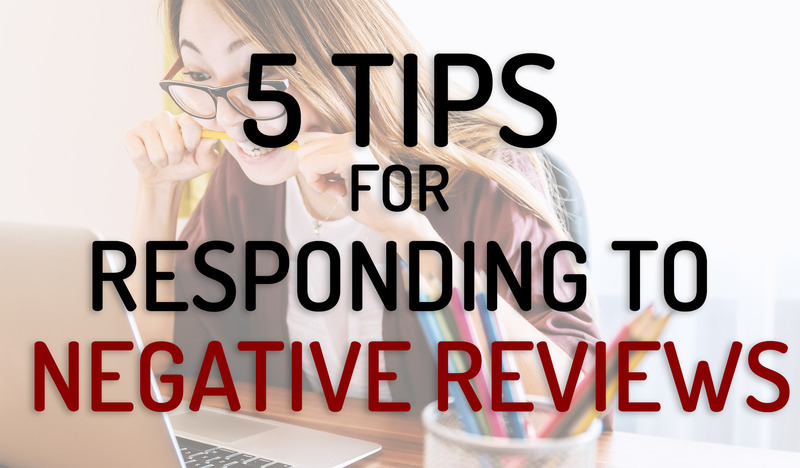 Take the reins back from unhappy customers and remember to reply to every negative review with a well-crafted, thoughtful response.